How to go Gray in 3 Steps! I was thinking of letting my hair go gray, but it was a big step. I grew up in a small southern US town where the ladies dressed to the nines for just about everything–church, bridge, mullet roasts, garden circles, campaign rallies, and the Friday night football games. Even the older ladies did–especially the older ladies. I distinctly remember the blue-haired ladies. They were always so tidy and meticulous with every hair in place. 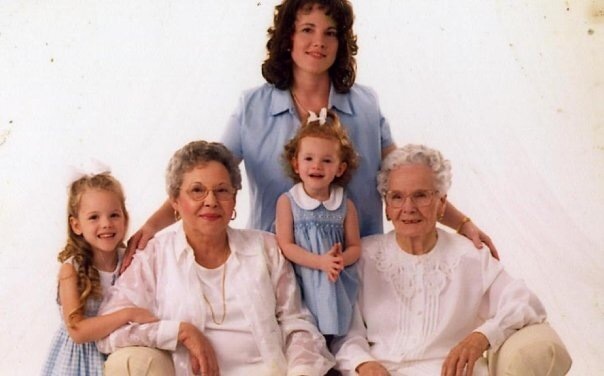 Several of the elderly ladies used a rinse that made their hair have a bluish-gray tint. We called them the ‘blue haired ladies”. 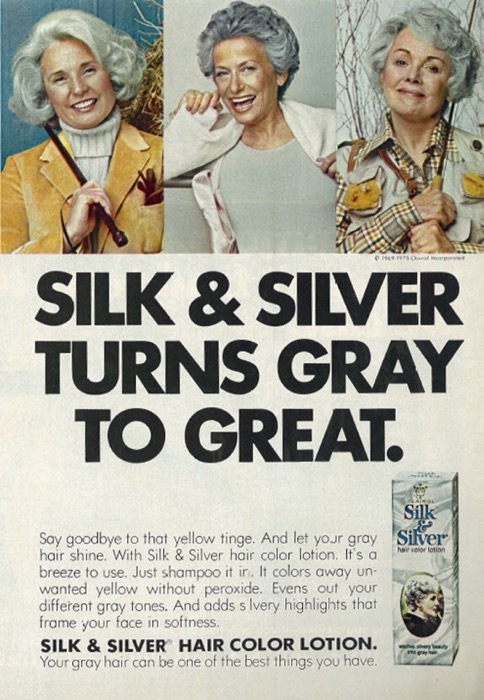 Mother said that some women’s gray hair yellowed more than others, and that they used this rinse to make their gray prettier. Of course, with graying comes the dimming of eyesight, too. So sometimes some of the ladies used too much of the rinse, thus the blue tint. As a child I thought it was cool. I’ve threatened for years to be a ‘blue hair’, when I grow old. If all these young girls can have pink, purple and green hair, then why can’t we older ladies have blue hair? Well, here I am today with a head full of gray hair. Or at least it appeared so at the roots. I wasn’t sure because I colored my hair consistently. I’ve colored it since some of the it started coming in nearly twenty years ago. I thought, though, that it might be time to embrace my gray hair; but I was not exactly sure how much I really had up there. Frankly, this is a new phenomena for me. Until just lately, I never even considered letting myself go gray. I’m a vain woman. I think I’m just curious more than anything. Several of my girlfriends did it, and I liked it. They looked great. So last fall, I stopped coloring my hair, which was step one. I watched the gray roots grow each time between washings. It was like one big experiment. Next, step two was to spray my gray away. To keep it looking good, though, I sprayed the roots using a product called “Grey Away”. It worked like a charm and hid my roots even after my roots got more than two inches long. It washes out completely the next washing. There are many other sprays and other secret weapons on the market, but I found this one right away and kept using it. I had over two inches of uncolored grey that I covered with this spray after every shampoo. This is why I tell my husband that we older ladies know camouflage. He calls it fraud. I found it worked better after my blow dry and after I applied my hair spray. 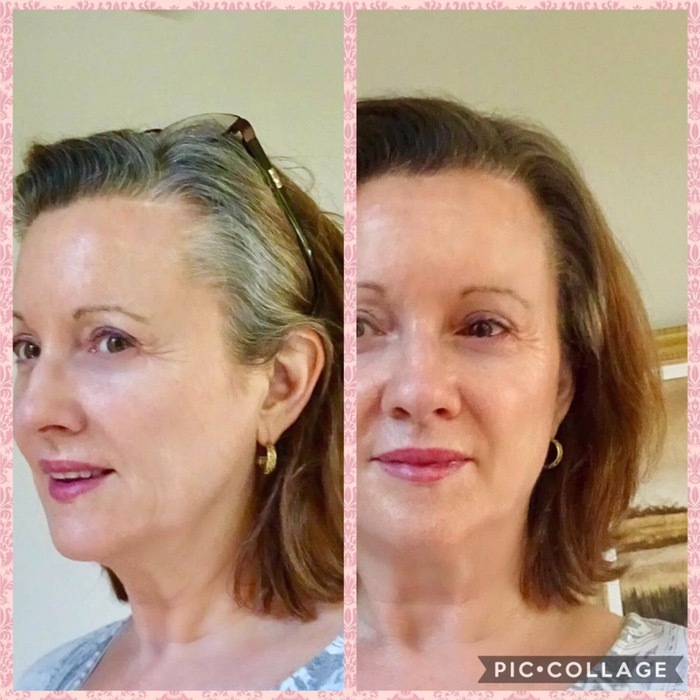 Here’s a before photo and an after using the spray. It covered very well. The third step was a good haircut, shorter than I had in a quite while. I wanted to cut off as much of the colored hair as possible. I needed hair to frame my face, so it is cut longer on the top with bangs. The haircut was by Angela at Hair on Earth in Tallahassee. She cut it just like I wanted. 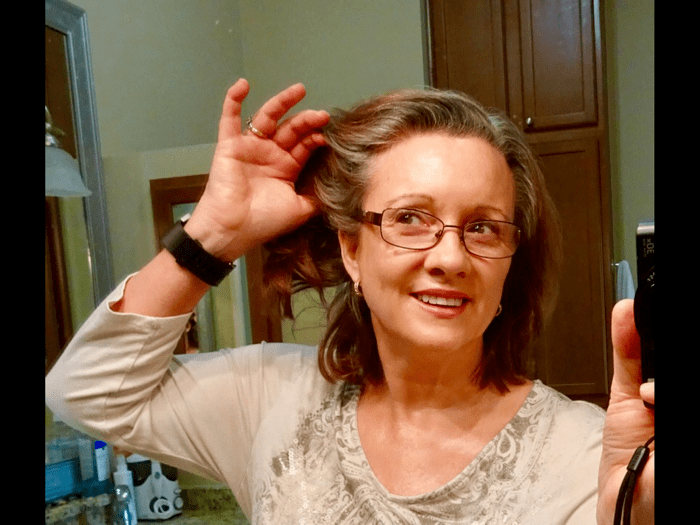 I love styling it myself, but I am still not totally gray. I may want to go back to spraying it with “Gray Away” to let more gray grow in. One thing I know for sure, though, my hair won’t allow me to be a ‘blue hair’. Not yet, anyway. It’s still a little too early. That will take a little while longer. 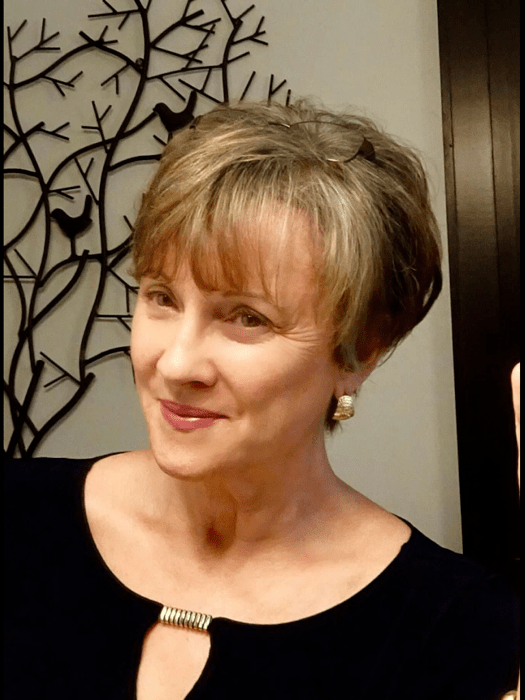 Are you thinking about going gray? If you already have, please share how you did it? I just never colored it. I am just thankful that I have hair. Mine is thin on the top so I wear a blunt cut. 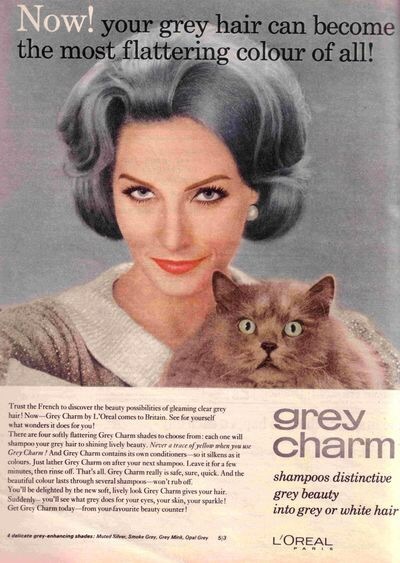 It is hard to find a good shampoo for grey hair. If you find it Silver Fox 🐺 for Men works really well. Thanks for the tip on shampoo. I have found that I have to wash it more often, but I think it is because it is so short. Loved your comment, especially about your hairdresser. 🙃 I have to admit that I love not having to worry about coloring for the first time in about twenty years. Thank you so much for commenting. You look like Meryl Streep with your new haircut…..!and I say let your grey in! Wow! Thank you for the great compliment. I hope I hold up as well. Thank you for commenting.